Man was created to glorify God and to enjoy fellowship with Him. God's purpose in saving us is to bring us back into right relationship with Him so that we may enjoy fellowship with Him. 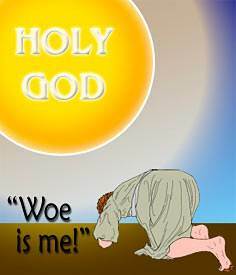 What caused Isaiah to cry out, "Woe is me for I am undone"? It was his sense of sinfulness. He realised that he did not have the righteousness he needed to come into the presence of such a holy and glorious God. To enjoy fellowship with God we must have a righteousness that is acceptable to Him. Forgiveness is like taking a bath; righteousness is like putting on clean clothes. We take a bath that we might be cleansed from all impurities; we put on proper clothes that we might be suitable dressed to appear before people. If we were going to appear before a great king, we would be very concerned about our clothing. When we think about coming into the presence of the holy God to enjoy fellowship with Him, we realise we must be "clothed" in a special way. We must be clothed with a righteousness that is acceptable to God. 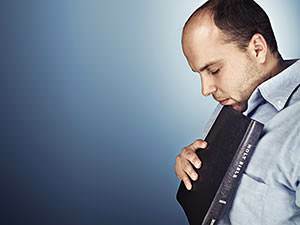 What kind of righteousness does God accept? The only kind of righteousness which God accepts is a perfect righteousness. God Himself must provide this righteousness for us. 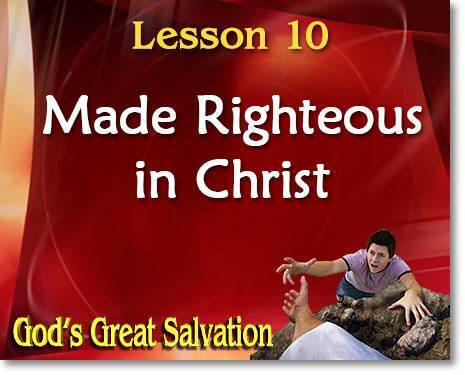 How does God make us Righteous in His sight? God has done three wonderful things to make us perfectly righteous in His sight: (1) He has ended our old life in Adam. (2) He has given us a new life in Christ. 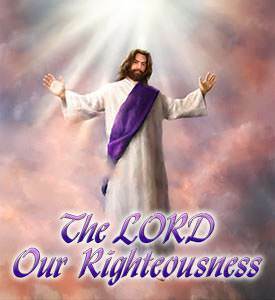 (3) He has given Christ to us as our righteousness. To put it simply, God gets rid of all that we are and gives us Christ as our righteousness. Let us see how God does this. God has ended our old life in Adam. Through the blood of Christ, God has removed our sins from us forever. He has cleared us of all charges against us. He has justified us freely by His grace. But we have a deeper problem—our sinful self. The Bible calls it "the old man." The "old man" is all that we were in Adam. God wants us to know that our old life in Adam ended on the cross. We died with Christ. Not only did we die with Him, but we were buried with Him. What does burial signify? It signifies removal from God's sight. God says to us, "I ended your old life on the cross. I have removed that old life from My sight by your burial with Christ." God has given us a new life in Christ. We have a new life in Christ! Our new life began with the resurrection of Christ. "Therefore if any man be in Christ, he is a new creature." God is saying to us, "You who have believed are now new creatures in Christ, for I have created you in Him. Your place and standing before Me is the same as Christ's place, for you are in Christ forever." God has given Christ to us as our perfect righteousness. This verse says that we are "made the righteousness of God in Him." Just as God looks at Christ and sees Him perfectly righteous, so He looks at us and sees perfectly righteous because we are in Him. 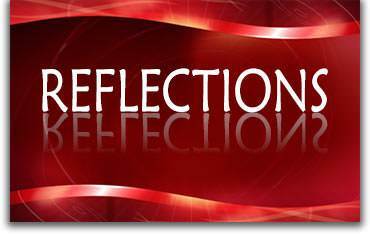 When we think about ourselves and our failings, it is hard for us to believe that we have been made perfectly righteous in Christ. But this is true. We know it is true because we have the clear statements of God's Word. If Gabriel, the mighty angel who stands in the very presence of God were to appear before us, our thought would likely be, "He is righteous and holy, but I am not." But this would be entirely wrong! God has given Christ to you as your righteousness. You are made "the righteousness of God in Him." 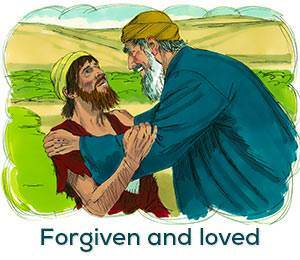 The Prodigal Son was given "the best robe"
When the prodigal son came back to his father, he was penniless, dirty, and in rags. How did his father receive him? He ran to meet him, threw his arms around him, and covered him with his kisses. At that moment the son knew that his father had forgiven him of all his sins. This is a picture of how God receives the repentant sinner. He "runs" to meet him, He "throws His arms around him and covers him with His kisses." God forgives us of all our sins and enfolds us in His arms and covers us with His love. But even though he knew that he was forgiven, the prodigal son, in his dirt and rags, would not have felt at ease in his father's house. What did the father do? He told his servants, "Bring forth the best robe, and put it on him." It was not just a beautiful robe, but "the best robe." It is called "the best robe" because there could be no better. The father gave the prodigal the very best that he had so that his son could feel at home in his house. 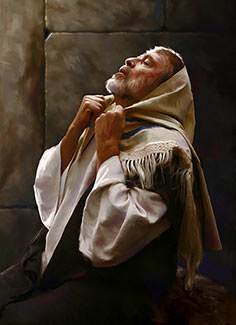 The "best robe" not only made the son suitable to his father, but it made him conscious of his acceptance with the father. The son did not say, "But I am not worthy of this." He honoured his father by joyfully receiving what his father provided for him. This story has a deep, heavenly meaning. The Lord Jesus wants us to know what the Father has done to make us conscious of our acceptance. 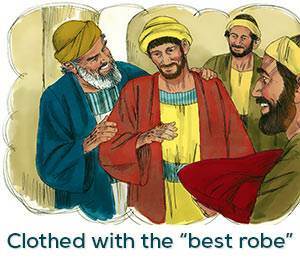 He has clothed us with "the best robe." What is "the best robe"? The best robe is Christ! God has given Christ to us to be our righteousness. God's perfect delight and satisfaction is in His Son, and God has given Him to us to be our righteousness. Nothing could possibly make me more suitable to God than having Christ as my righteousness. He is "the best robe" that God could give to us. God wants us to be perfectly suitable to Him and He wants us to be conscious of our acceptance. To whom does this verse belong? It belongs to every believer. Every believer is in Christ. Every believer can say, "Christ is my righteousness." The perfect righteousness which God provides for us is a gift and it is ours the moment we take Christ as our Saviour. Let us think about these two phrases "abundance of grace" and "the gift of righteousness." "Abundance of grace" expresses God's attitude toward us. Because of what Christ has done, God is free to express Himself to us in all His love and abounding grace. God is not stingy in blessing us. He is "the God of all grace." He abounds in His grace toward us, and we honour Him when we receive joyfully and thankfully all that He gives us. "The gift of righteousness" is one of the most amazing and wonderful gifts that God could possibly give to us. This righteousness which God gives us is a perfect righteousness. It cannot be improved upon. 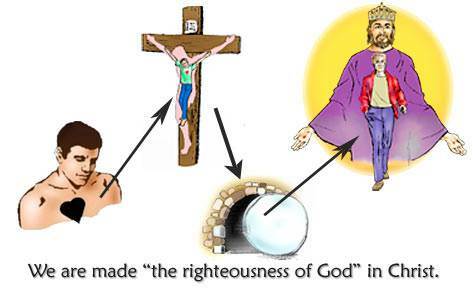 We are made "the righteousness of God" in Christ. Does this not cause your heart to rejoice? This is God's gift to all His children. Does this mean that we will not sin any more if we are Christians? No, it does not. In Paul's letter to the believers at Corinth, we find some things that seem hard to understand. On the one hand, Paul calls these believers "saints"—"holy ones," and he says that they are "sanctified [set apart] in Christ Jesus." On the other hand, in the same letter, Paul speaks of some terrible sins in their lives. 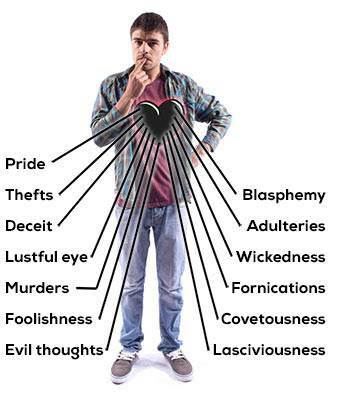 Some were proud, some fought among themselves, and some were guilty of immoral acts. What is the explanation of this? 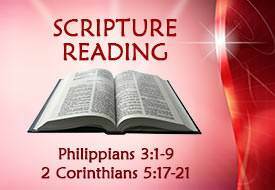 How could Paul say that they were "saints" while at the same time they were not living as Christians should live? To answer these questions, we must understand the difference between our position and our walk. 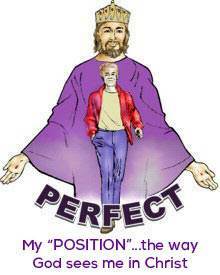 Our position is what we are in Christ. It includes all that God has done for us. He has ended our old life and given us a new life in Christ. Our new life in Christ is our real life. God has made us one with His Son forever. Christ Himself is our life and our righteousness before God. Is our position always perfect? Yes, it is. Why? Because it is what God has done for us in Christ. God sees us perfect in Him, and our position never changes. It will help us in our Christian life if we remember that our position is what we are in Christ, while our walk is the way we live on earth. 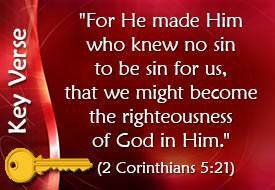 Our righteousness before God is Christ Himself. He is "the best robe," and God never takes back His "best robe." Our failures do not affect Christ's righteousness. Nothing can be added to His perfection, nor can anything be taken from it. Regardless of how many times I fail, Christ is always my righteousness. What does this mean—"to walk by faith"? It means to live, counting on what we are in Christ. 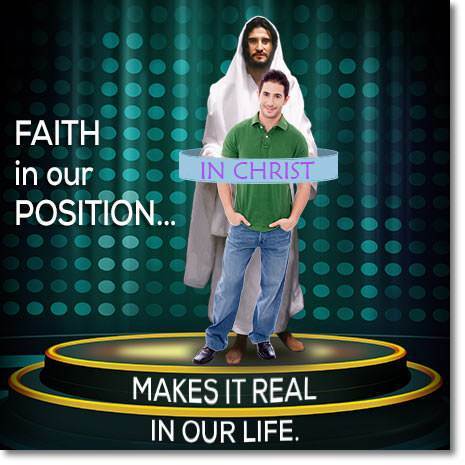 Here is a great principle of the Christian life: Faith in our position makes it real in our life. When we see that Christ is our righteousness, we become righteous in our everyday life. When we see that we are "holy in Christ," we become holy. When we see that we are "saints in Christ Jesus," we begin to live as saints should live. God wants us to live our lives each day in the full consciousness of being righteous in His sight because we are in Christ. Say to yourself again and again, "I am in Christ! He is my righteousness!" There is no truth in the Bible more important for us as Christians than knowing that we are in Christ and that He is our righteousness. This is something God did for us when we took Christ as our Saviour. Read this lesson over and over. Ask God to show you that you are indeed in Christ and the Christ Himself is your righteousness. 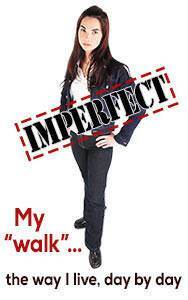 * God has made me perfectly righteous by getting rid of all that I am and giving me Christ in exchange. * Christ Himself is my righteousness! God's work for us, and God's work in us. To have a better understanding of God's great salvation, we must distinguish between the work that God has done for us in Christ and the work He is doing in us through His Holy Spirit. The foundation of all the blessings that God gives us in Christ is the cross. We are forgiven of all our sins, justified, made righteous in Christ, and given the supreme privilege and blessing of sonship. This all comes to us through Christ and the work which He has accomplished for us. The believer has a perfect standing before God in Christ. He is eternally cleansed and eternally accepted by Christ's one great sacrifice on the cross. The believer's standing in Christ is perfect and unchanging. But there is the matter of our need of daily cleansing. 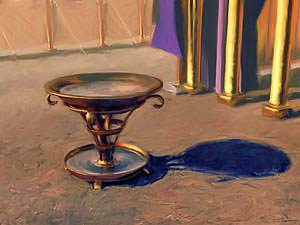 The priests in the Old Testament could not enter the Holy Place of the Tabernacle without washing their hands and feet at the Brazen Laver. This speaks of a work in us by the Word of God and the Spirit of God. This goes on continuously, day by day. There is no "stage" or condition of the Christian life on earth where it can be said that this work of God in us is complete.